Able Equips' standard ladder racks are anything but standard! 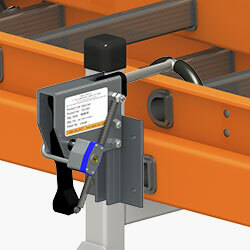 They fit any width service bodies with their adaptable capabilities. Made of rust proof aluminum but engineered to be strong, they stand up to the work load that is required for a service or utility vehicle. Road Rack ladder racks are UPS shippable and can be installed in less than one hour so you are ready to roll. Ask about our ladder rack locks, QUIK-LOCK, that add safety and security to any ladder rack. Road-Rak Inclined Ladder Racks come in incline degrees from 1-9. Features include our patented guide rail system with slide rails that guide the ladder without damaging it and rear roller assemblies so it glides up, up, and away! Need to load it low? Road-Rak Flat Ladder Racks do just that. Designed originally for utility bucket trucks, this rack stays out of the way. It's often paired with another rack for carrying multiple ladders. 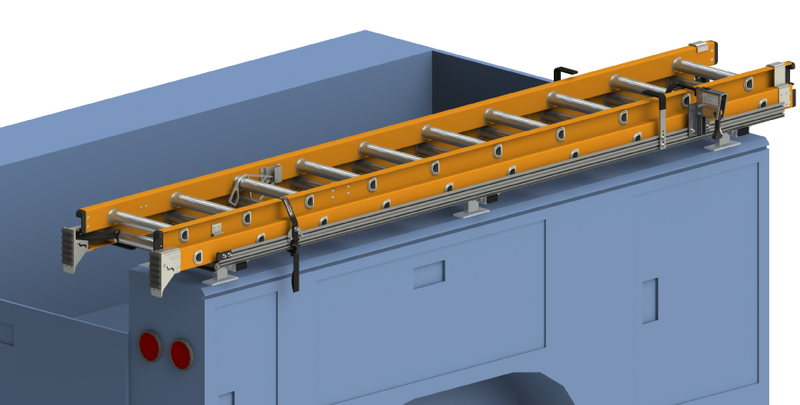 Features still include our patented guide rail system with slide rails that guide the ladder with damaging it and rear roller assemblies. The Flat Rack is flat out good! 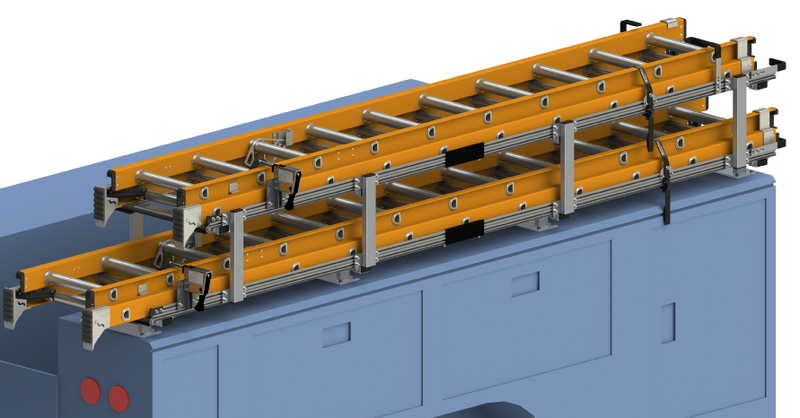 It's not safe to lay one ladder directly on top of another so we designed a way to carry two ladders on one ladder rack. This ladder rack has two levels of our patented guide rail system with slide rails that guide the ladders with damaging them and each have rear roller assemblies. The Road-Rak Stacked Rack gives you the option to carry two ladders without sacrificing safety. So go ahead and stack them up! Need to attach the ladder rack to the end of the service body? We can do that too. 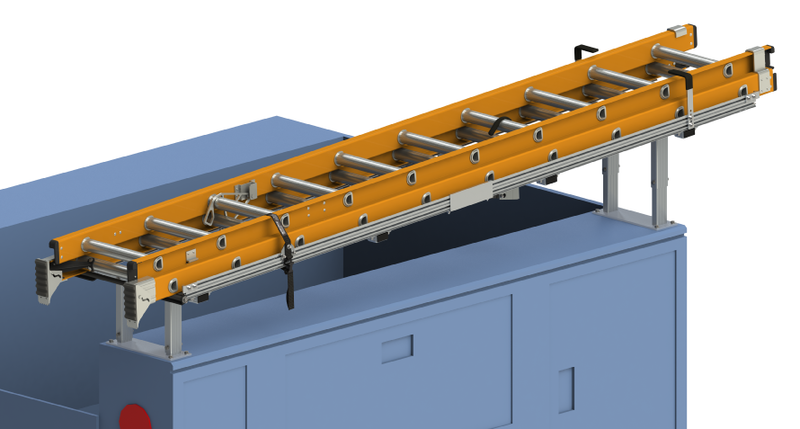 End mounts come in flat or incline racks with all the features of the others - our patented guide rail system with slide rails that guide the ladder with damaging it and rear roller assemblies. It works great when you can't mount to top of the service body. End of story. Shop drawings are available for all of our standard ladder racks. Contact us for specification sheets on the rack you are interested in. Most of our customers consider our standard ladder racks "custom" but if we don't have a Road-Rak Ladder Rack to fit your company's needs, we will design and build one for you. Honestly, it's what Able Equips does best. Using Solid Works software in the design process allows you to see the custom ladder rack before buying giving you purchasing confidence. Let Able Equips custom fit your company vehicle ladder racks with Road Rack Custom Ladder Racks. QUIK-LOCK Ladder Restraints come standard with each Road-Rak Ladder Rack. Side Mount and Bottom Mount versions are available to meet your vehicle's specifications. 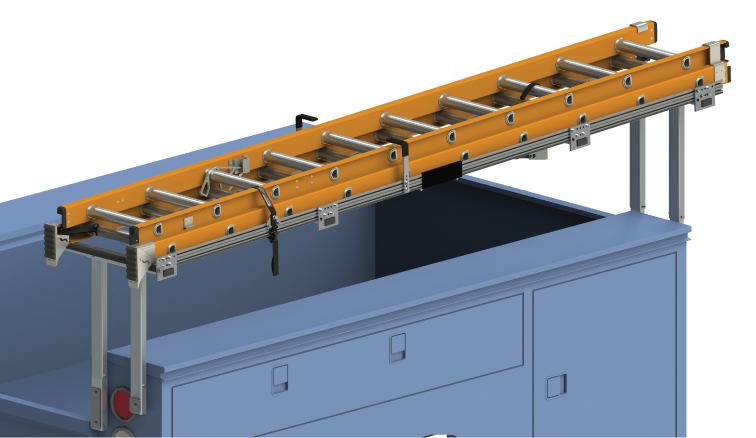 See our Ladder Restraint Systems page for more information.